>> Guys, let's see your HAMILTONS! Thread: >> Guys, let's see your HAMILTONS! 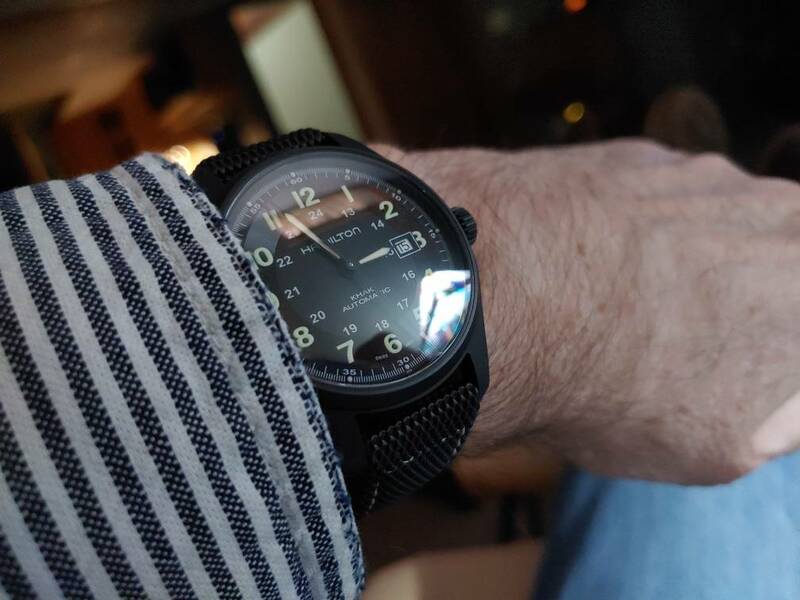 Re: >> Guys, let's see your HAMILTONS! Intramatic today. Any good strap suggestions under 50 bucks? CheapestNatoStraps.com has lot of inexpensive leather straps. I have one of theirs on my Khaki King that is really nice. I think under $20 if I remember correctly. Also a nice silver & black or blue & silver BluShark would be nice. c185445, Krish47, oztech and 5 others like this. Khaki Field Mechanical on a few different nato straps. Have had this watch for just over a year and its been running +4 every 24 hours the entire time. Very happy camper here! Slm643, GaryK30, CrazyCat and 1 others like this. JonS1967, GaryK30, CrazyCat and 2 others like this. My Broadway GMT doing travel duty. 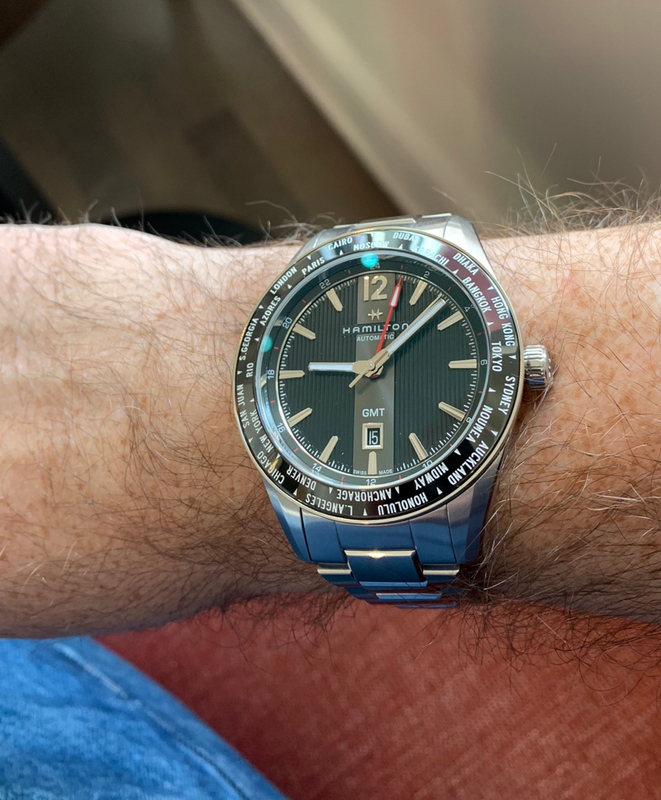 Admittedly, this is probably the watch that I’d get rid of first if I was going to downsize my collection, but it’s probably the most “dressy” GMT watch I have (which isn’t saying much), so I’ll probably keep it for a while. Freakin’ gigantic though...I have upwards of a 7.5 inch wrist and it still looks borderline too chonky. stonehead887, CrazyCat, jlondono77 and 3 others like this. JonS1967, GaryK30, chirs1211 and 2 others like this. First shot with new phone..
NC_Hager626, JonS1967, GaryK30 and 3 others like this. Hamilton, why can't I quit you?? TagTime, NC_Hager626, TgeekB and 9 others like this.